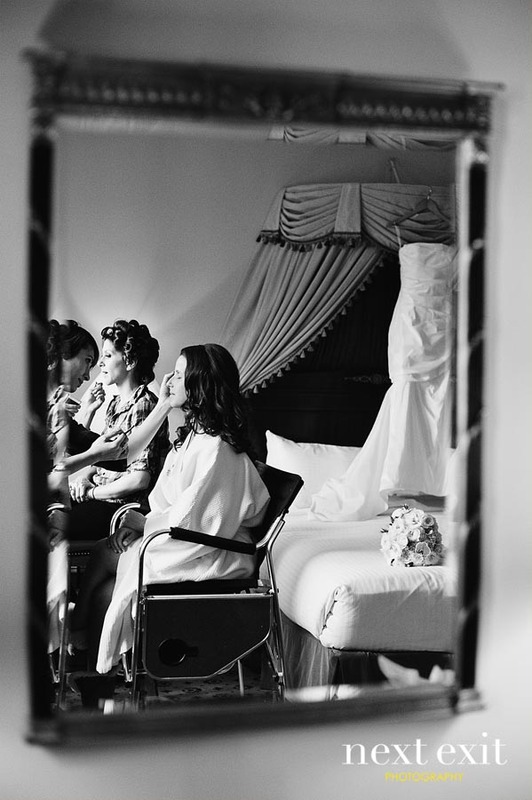 Cat + Adi Benner are two of the most sought after wedding photographers in Los Angeles and around the globe. 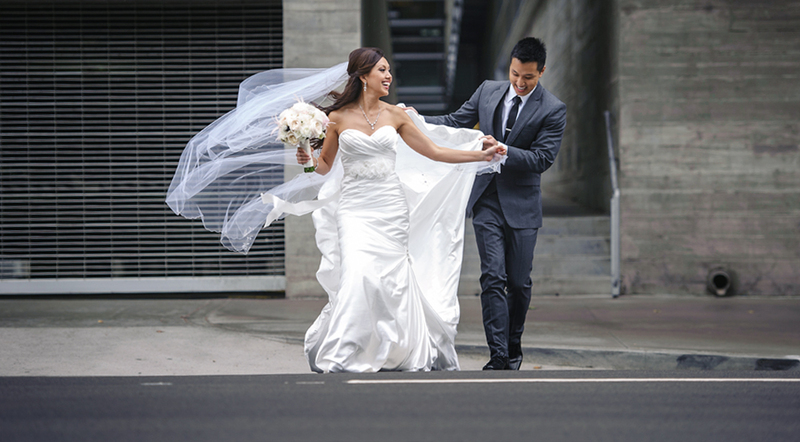 Named the Best Wedding Photographers in Los Angeles by CBS.com, 5x winner of the Best of the Knot Magazine. Cat and Adi Benner are two of the most sought after wedding photojournalists in Southern California. 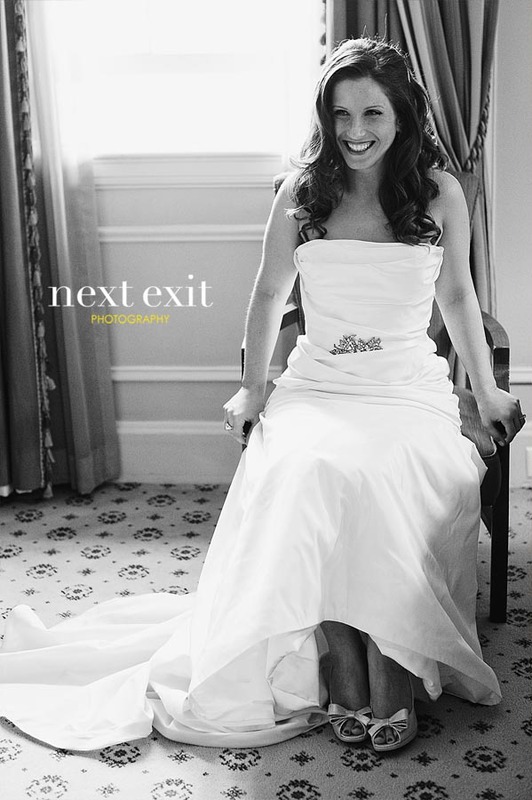 Next Exit Photography is known for magazine-worthy images full of heart and emotion with unmatched quality of service and familial devotion. Winner of the 2014 California Wedding Day Magazine Best Photographer in Los Angeles and seven-time winner of the Best of the Knot Award, their work has been published around the globe in The Knot Magazine, Bride’s Magazine, Pacific Weddings, Your Wedding Day, Brideworld, Southern Weddings Magazine, C Magaine, Wedding Style Guide (Australia), Anhelo Magazine (Japan), B Magazine (Ireland), People, Newsweek, Billboard and the Los Angeles Times, to name a few. At weddings, clients appreciate Cat and Adi’s sense of humor and camaraderie, which they combine with an artistic eye and an acute awareness to capture the most spontaneous and genuine interactions. For more information about hiring us for your Vibiana wedding photography, please check out our website and portfolio especially made for Vibiana: http://vibianaweddingphotography.com/ A lovely, descriptive blog entry from the couple’s indispensable wedding planner, Alexandra Rembac-Goldberg of Sterling Engagements, was a wonderful treat! She really rocked this wedding and we can’t wait to work with her again next month. “I was introduced to Tracy and Kramer by past clients who were long time friends of Tracy’s. We connected at the end of May to plan their December wedding. In just six short months we planned their organic elegance wedding. When we first met they described their perfect venue as aged with character and a gorgeous structure. I immediately suggested Vibiana as its history and glamour seemed like the perfect fit. Tracy and Kramer both work hard and when they aren’t working, they’re either traveling or enjoying great food and wine amongst each other or with friends. Keeping this in mind, I knew we had to pair them with a caterer that understood what a true foodie bride and groom would appreciate on their special day. Steve Fortunato of Room Forty was the ideal fit to assist them with a top-shelf dinner for their day. Once we selected their venue and caterer, all the additional details just flowed effortlessly. Tracy worked with a family friend at Paper Pushers to design their amazing wedding invitations which displayed a photo of her maternal grandparents on their wedding day. This was one of my favorite details from her day. For the design, it was important to both Tracy and Kramer to create something modern and organic but still rustic with an elegant undertone. Susan from Peony and Plum designed the most gorgeous centerpieces incorporating succulents, orchids, garden roses, scabiosa pods, seeded eucalyptus and more. They were set in beautiful wood boxes and paired with candles. They really wanted a natural look as the space itself is so gorgeous they didn’t want to compete with it but rather enhance it. The amazing lighting Amber Event Productions assisted us with really took it to another level as well. When it came to who would document the day, it was really important to Tracy and Kramer that they selected a team that not only took amazing photos, but also focused on capturing natural candids, as this was a priority. When Cat and Adi of Next Exit Photography and Camron of New Classic Films were selected, I was elated as they both are two of my favorites to document a day. DJ Nahchey - Great shots! Always a pleasure to work with you guys. 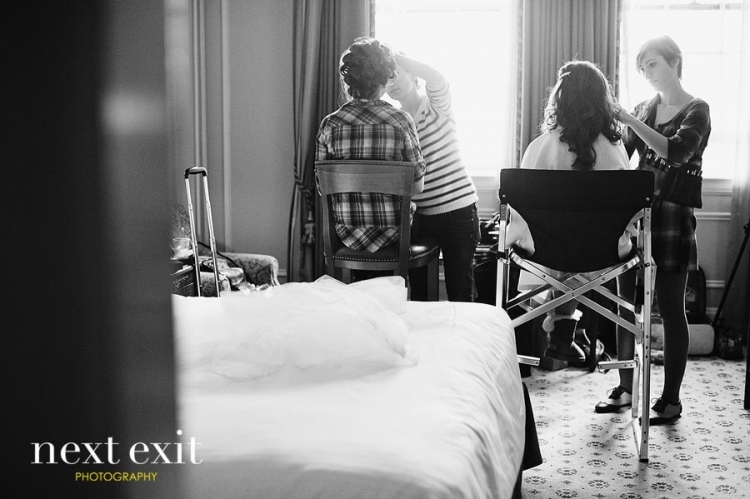 We were very excited when the sister (Desiree) of a former Next Exit groom (Arash) contacted us to shoot her wedding. It’s always a huge honor to be invited to shoot a wedding, but even more so when it is our second wedding for the same family!! The thing that I remember most about this beautiful Jewish Persian wedding (other than the fantastic couple) was the never-ending displays of food! Literally, there were like 17 different meals in a 6-hour period, all equally fabulous. Slurp! Every now and again, Adi and I make a special connection with one of our clients, and in this case, Desiree and Dane are no exception. Alexis was a very caring, hands-on Bride. The kind of Bride who dreams about her wedding day being more than perfect in every way. The pleasure was all ours! I have known the bride’s family my whole life, so being a part of this huge celebration was more than special! Stacy and David live and work in New York City, but they celebrated their wedding at the always perfect Adamson House on Malibu Beach. The sand and surfers, just a stones throw away from the dancefloor, is an exquisite backdrop for a late summer SoCal wedding. Working with Kristina and Clarence over the last year was superb. Although the couple was often on the go, we managed to find the time to do a skype meeting introduction and then a fabulous engagement session in Downtown. You’ll see that they put so much heart into their wedding…it really showed. Logo Design by Tammie Le Sakura Paper Co.
Anna - Such a sweet, down-to-earth couple. The pics look amazing! love the last pic… esp how you captured the moment! Our latest and greatest instagrams…and what we had for dinner.